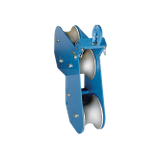 3 SHEAVE CORNER CABLE GUIDE | Tallman Equipment Co., Inc. 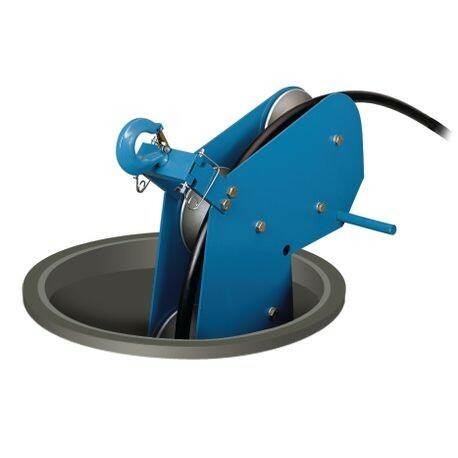 The three sheaves allow a gradual 90° turn with a pulling radius of 24". 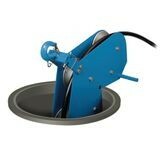 It will sit on manhole edge, suspend in a manhole or fit the jamb skid.